Consider how popular Minecraft is, it’s hard to believe it was released only in 2011. The fact that it’s on so many platforms speaks for itself. Fifteen(15) platforms to be exact. Android, Xbox One, Xbox 360, PlayStation 4, PlayStation 3, Windows Phone, iOS, Fire OS, Apple TV, New Nintendo 3DS, Nintendo Switch, Raspberry Pi, PlayStation Vita, Amazon Fire TV and Universal Windows Platform. Minecraft also does really well with critics and users. It currently has a MetaCritic Metascore of 93 based on 33 critics and a User Score of 7.5 based on 4515 ratings. The numbers speak for themselves. Minecraft is a force to be reckoned with. 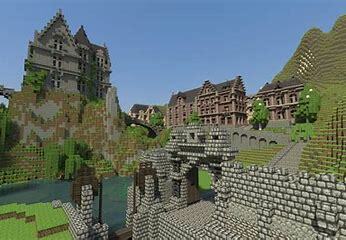 Minecraft is often referred to as a masterpiece and it’s easy to see why. It’s a simple yet complex game. The thing I like most about this game is the fact that it’s for anyone of any age. I also really appreciate that Minecraft has stayed true to the open world concept. Personally though, I have not been able to get into it. I’m more of a first person shooter kind of girl. The wife, however, loves Minecraft. I’ve watched her walk for miles, build a ton of houses, dig below earth and smack some sheep. I have a great time watching my wife play. She makes it seem fun. She tells a story at her own pace. But it’s a little too slow-paced for me. That’s just my personal opinion of course. What are your opinions on Minecraft? Am I right in thinking it’s kind of an acquired taste? Leave your opinions in the comments below. I float the same boat with you. I’m more of a shooter type of a gamer as well. Black Shot, Counter Strike, Half Life, Sudden Attack, Tom Clancy’s The Division, Far Cry .. you name it, I’ve played it. I ventured into the world of Minecraft in early 2015. I admit it was fun at first, trying to figure out the world, figuring out the mechanisms, trying to find the logic in the game and just what to do. But over time, the more I ventured into the, the more I felt like I was just playing a more complex rendition of a Lego game that I used to play as a kid. It didn’t stick that long to me and I eventually ended up dropping the game. Maybe I just lacked creativity that other people are just gifted with, they are able to look at the game with a more colorful outlook, while I’m just looking at pixelated bricks.